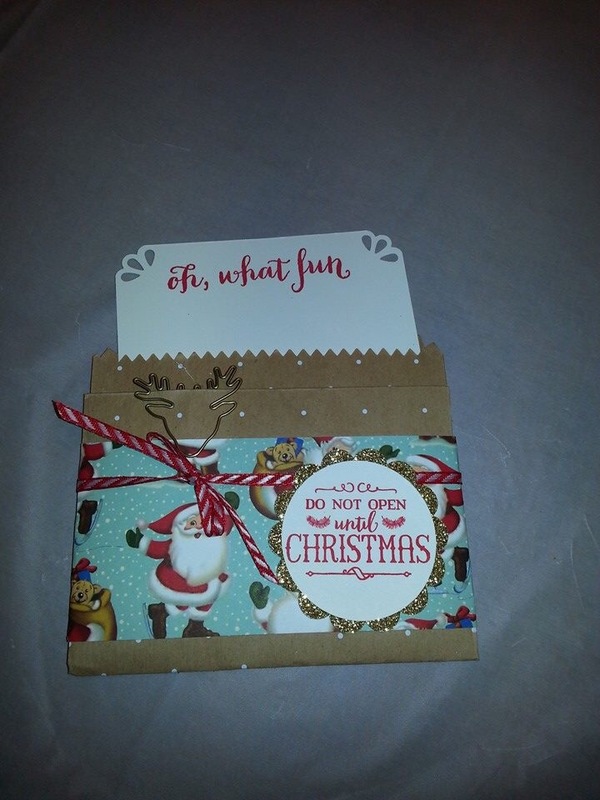 Hi everyone, so what did you think of our fun Christmas get together I blogged about yesterday? Are you ready to see the projects and my gifts to the team? 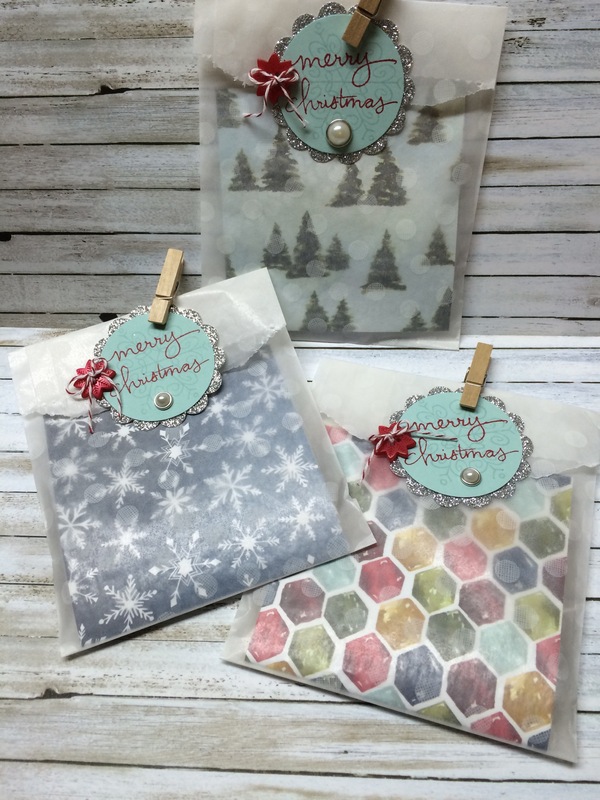 I wanted some simple packaging that the girls could reuse if they wanted so my package is with our new glassine bags and the designer paper is folded in half and hides the present inside. 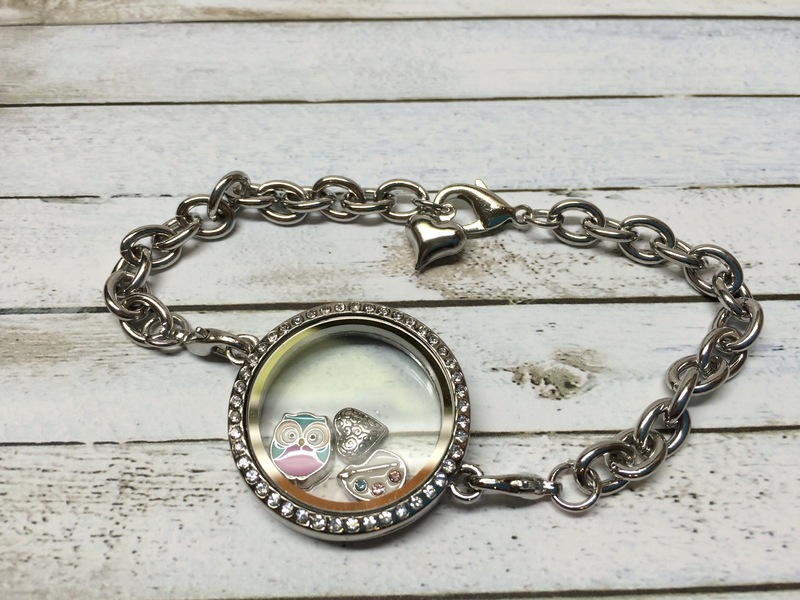 My Christmas present to my downline members is this rhinestone encrusted living locket bracelet and can you see the charms inside? One is a silver heart, to represent how much I love my team, The second charm is a pallet and paintbrush to represent our craftiness, and third charm is an owl representing the Lynnzcrafters logo. I was so happy with their reactions and they all put their bracelets right on and love them! I plan to add charms to their bracelets for upcoming anniversaries and milestones as well as title advancements. The other gift that I gave my team members who attended our Christmas party is a new pair of Stampin’ Up! paper snips and they decorated with beads and charms a little scissor charm so they know which pair of scissors is theirs. And we also made a scissor holder out of retired fabric and batting and hot glued it together. This was a fun project we had done a few years ago at my upline Dania’s house for Christmas and she had given me her surplus, so it worked out well for our get together. 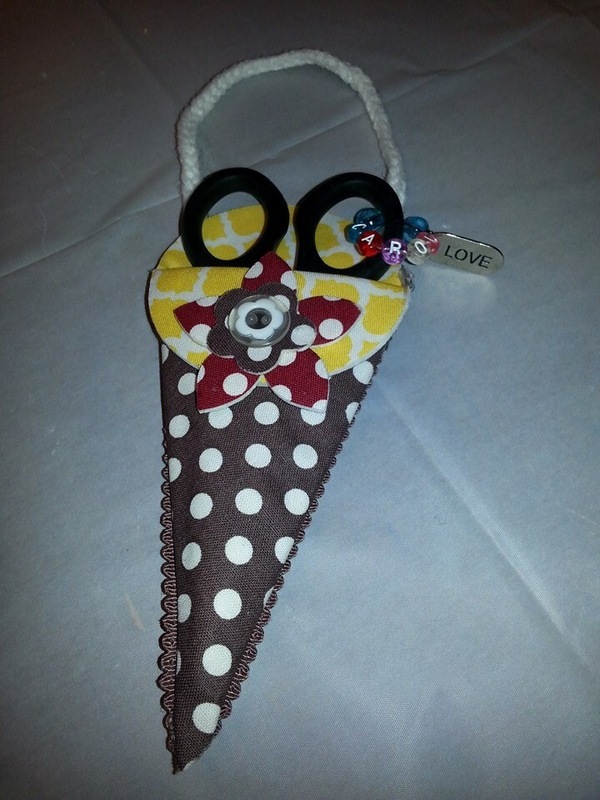 And the third make and take was this gift card holder that I cased from Patty Bennett. It is one of our craft bags folded over and decorated so there is room to write a greeting on the whisper white paper and room to tuck the gift card, money, or small jewelry item. Thank you all for your concern and comments about my friend Jamie. Keep praying, for her healing and and for her family at this difficult time. Thank you for visiting today I hope you have many blessings, hug your loved ones, and do a random act of kindness today. For Jamie. « The Super Creative Lynnzcrafters Team Celebrates Christmas! Thanks Phyllis, I got the idea from my coach, Ronda Wade. The girls love their bracelets and their scissors.